(Ottawa, Canada) As part of an ongoing initiative to become more operationally efficient and improve internal communications among their vendors, artists, sponsors, staff and crew, the RBC Ottawa Bluesfest team has partnered with Lennd. “We take great pride in the fact that partners like RBC Ottawa Bluesfest not only trust our core functionality, but also know that we are committed to continuous innovation” said Chris Carver, Co-Founder & CEO of Lennd. As part of the partnership, the Ottawa team will leverage Lennd’s Vendor Portal technology and Lennd's latest RFID and ticketing integration with Front Gate Tickets. 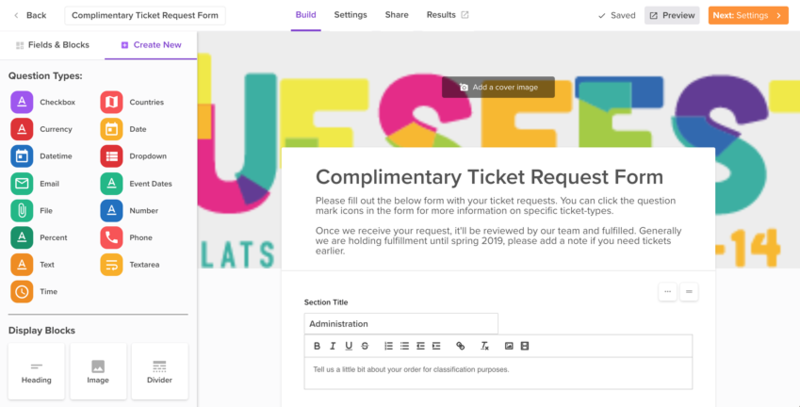 The Ottawa team will also leverage the Lennd platform to manage all Credentials, Comp Ticket, Catering and Equipment requests, as well as Guest Lists and internal ticket Payments. Lennd's form editor allows any event to create custom forms and applications in minutes. “It’s an honor to work with such an incredible event and event team. Especially one that shares our vision for the future of event operations” said, Carver. Lennd is a next generation event management platform that simplifies operations and advancing so event teams can work smarter, move faster, and improve their ROI. From tracking and managing requests, orders and allocations for credentials, comp tickets, documents, catering, inventory, guest lists, lodging and applications to advancing vendors, artists, media, sponsors, suppliers, staff, crew, or any other group, organizations have everything they need to deal with the demands of today’s complex events, all in one central place. RBC Ottawa Bluesfest has grown to become the landmark event of the Ottawa summer and one of the top-ten music festivals in the world, according to Billboard Magazine. The ongoing love affair between the ‘fest and its fans continues to this day. Clarence Clemons took the stage in 1994 and helped kick off what would become Canada’s fastest growing outdoor music festival. Five thousand people descended on Majors Hill Park that first year, probably not realizing the tradition they were helping to create. Over the past 24 years, more than a million people have tuned in their ears and opened their hearts to some of the biggest names in the music industry. In more recent years, RBC Ottawa Bluesfest has become the Canadian version of Bonnaroo, Coachella, and/or the New Orleans Jazz and Heritage festival; all highly regarded tourist attractions and highly popular outdoor music festivals. The festival has grown from a one-stage, three-day event to a multi-staged, two-week music showcase featuring some of the best talent available on the planet. RBC Ottawa Bluesfest continues to increase its diversity and programming scope and offers an assortment of stages that incorporate a variety of genres.